Whole Foods had an employee appreciation meeting where they went over their key metrics for their store, had some team building games, and some fun giveaways! 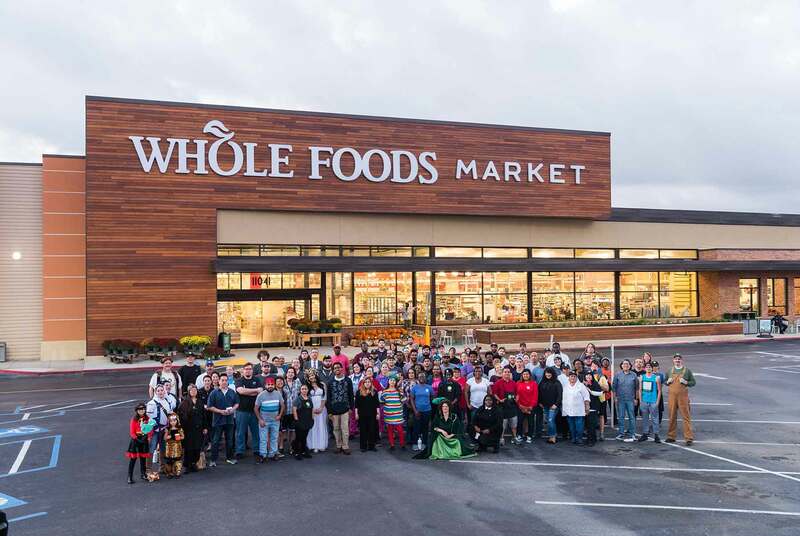 They did a fantastic job of letting their employees feel appreciated and valued. To end the meeting they hired me to shoot a group team photo in front of the store. 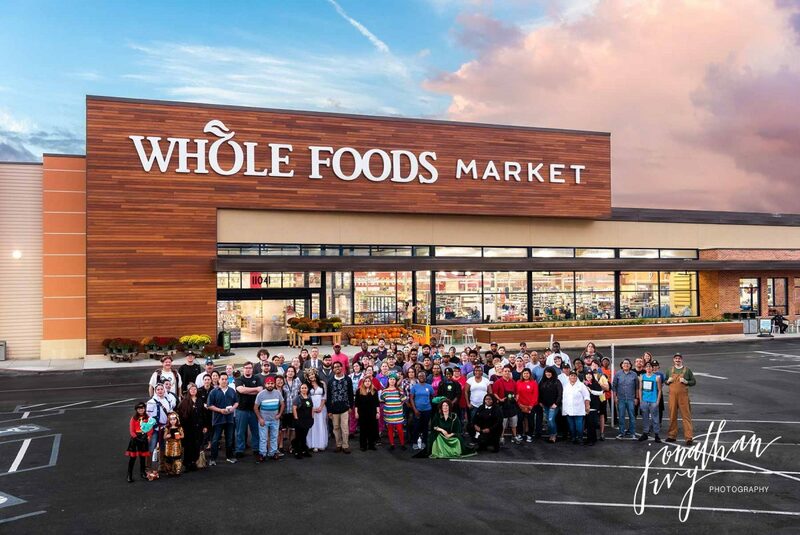 The Whole Foods storefront is already so beautiful, it was easy to capture this employee group photo.